Labor Neunzehn is pleased to host the launch concert of the Contemporary Tuba Series (Edition Gravis). Six works for solo tuba by Berlin-based living composers with guests from France and Great Britain performed by the recipient of the Stipendiumpreis by the Internationales Musikinstitut Darmstadt Jack Adler-McKean. In collaboration with Edition Gravis. 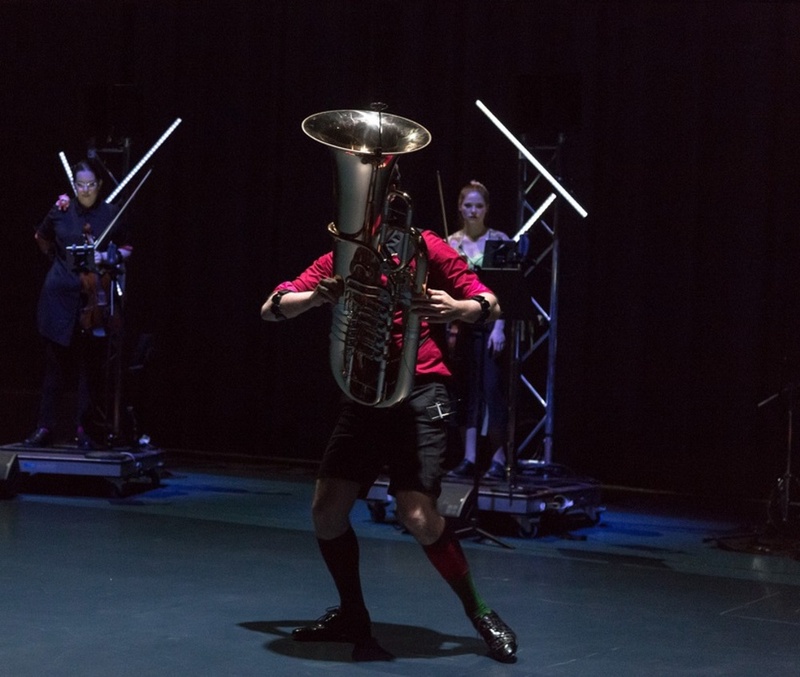 Jack works primarily as a tubist, promoting his instrument to the contemporary musical world through collaborations with internationally renowned ensembles, composers and educational establishments. Recent work includes invitations to perform with ensembles including Klangforum Wien, Ensemble Musikfabrik and Kammerensemble Neue Musik Berlin, collaborations on solo works with Georges Aperghis, Michael Finnissy and Georg Friedrich Haas, giving seminars at the Royal College of Music, Columbia University and Hochschule Luzern, and première performances at the Darmstädter Ferienkurse, BBC Proms and Donaueschinger Musiktage as well as solo concerts in London, New York and Berlin. He also has extensive experience in older musical genres, working with symphony orchestras such as the WDR Sinfonieorchester Köln and BBC Scottish Symphony Orchestra under conductors including Sir Simon Rattle and Jukka-Pekka Sarastre, and with chamber orchestras including Kammerakademie Potsdam and Spira Mirabilis on the predecessors to the tuba, the serpent and the ophicleide. Alongside curating the Contemporary Tuba Series for Edition Gravis, he is currently preparing the tuba edition of the “Spieltechnik” series for Bärenreiter, whilst his own compositions and arrangements are currently published by Potenza Music. He is currently studying for his PhD at the Royal Northern College of Music under Dr. David Horne and Dr. Martin Iddon, supported by the North West Consortium Doctoral Training Partnership. Edition Gravis is a German Berlin and Brühl based publishing company which focuses on contemporary music. Founded in 1983, today Edition Gravis’ publishing program includes works (often complete works) by renowned composers such as Brice Pauset, Georg Katzer, Dániel Péter Biró and Walter Braunfels. In 2014, many of Edition Gravis’ authors come from or are based in Europe, the USA, Canada, Australia and Japan.